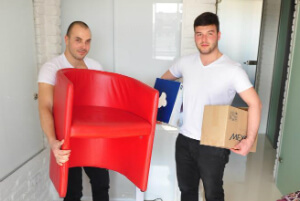 Wandsworth SW Home or Office Removals & Packing | Quality Property Care Ltd.
Additionally, it is possible to book our expert Wandsworth SW removal service just by dialing 020 3746 4287. Our staff of professionals is waiting to support you anyway they will be able to. Take advantage of our convenient Man and Van service or contact for the Packaging service which will take good care of all the moving & packaging for you. Quality Property Care Ltd. is your reliable removals company, when it comes to Man with a van , home removals, collection & delivery / Product Pickup, office removals, commercial removals , art transportation. We provide a HUNDRED PERCENT safe, quick and effective removals services on a budget. Our practice is never to leave the property or home without making sure everything is completed. All the removal specialists are insured, skilled, well-trained and informed in the sphere. Do not worry to leave them keys to your house to ensure that they will pack or load the baggage, while you are out to deal with other responsibilities you have on your mind. Professional removal in Wandsworth SW is every time the better choice for you to save money & time! We can support you with both: element of your tasks, or all of the house chores: administrative, packing, transportation from the first day you contact us. This is a service suitable for the loading, unloading and transpiration of smaller things and boxes. You rent a man with a van and you yourself package and unload the things, we only deliver the van and a driver who can support with lighter loads. This is also appropriate for Ebay and IKEA pickups or for deliveries and package pickups all around the Greater London region. This is a totally guaranteed service, sending out only 1 man with a van, it’s a flexible for booking, good for last minute tasks. Our specialists are local and trained, with vans equipped with all of the required items to make your move easier, including a ramp. Generally we can move pretty much everything from inside a house, from beds, to boxes, to kitchen appliances like dining sets, sofas, washers, TV’s, shelving, queen sized mattresses, double beds, three wing cupboards and dressers, fridges, bikes, pianos and quite a lot more. As long as the things are easy to access we can move them anywhere you want, simply contact us. Along with that we are also offering you a packaging service, we arrive and package all the things for you. If you like to do it yourself but lack the materials and boxes, give us a call and we can drop some off at your place. In the regular service are included the pickup and delivery of loads from one place to another. We can then move the items inside of the new location or simply unload them and leave you to deal with it yourself. Quality Property Care Ltd. qualified removals in Wandsworth SW come as a rescue in a rush problem. We are ready for same-day or emergency reservations. We work Three hundred and sixty five days each year - with no exception for weekends or holidays. Dear customers, we can support you either with partial of your removal tasks and with the entire removal process! Our removal company in Wandsworth SW has a specially customized checklist to follow in order to organise the process in a optimal and precise way. If you have your personal demands and inquiries, do not hesitate to notify our guaranteed, knowledgeable and well-tailored men with van in time. As a completely licensed removals company we can guarantee safe, hassle free removals every time you give us a call. Dial 020 3746 4287 and book at any time you need us. We have a customer care desk available to all clients free of charge, just call and ask any removals related questions and get a concise solution.